Oh Summer time! The kids are out of school, family vacations begin and...oh yeah... warm weather! Or in the case of Florida, HOT weather. Because of this extreme heat, I usually change up my beauty routine during the Summer months. I try new products every Summer to find those that are best suited for me. Here are a few I've tried this Summer. I don't know what it is about Summer that makes most ladies want a lighter hair color, but I also get the urge! In the past, I used a John Frieda product (that is now discontinued) and I had a very bad experience. Because of this, I am not brave enough to try the new John Frieda Sheer Blonde Go Blonder Controlled Lightening Spray(if you've tried it, let me know how it is! I may get a little more courage if I hear it's amazing from those I know). Instead I tried Sun-In Lemon Fresh. I've never used Sun-In before and I was a little skeptical but it definitely exceeded my expectations. I only used this product 3 times. Twice I sprayed it in then blow dried. Once I let it dry outside in the sun. My hair definitely is lighter and I saw the best results when I let the sun dry my hair. It did do a little bit of damage to my normally resilient hair. So I'm not sure if I would recommend this product to anyone who has fragile hair or color treated hair. I'm not completely satisfied with Sun-In but I don't think it's a bad product either. My hair did get a brassy/yellow tinge but I wasn't worried because that is easy to fix. I would like to find a product that is a cream or gel instead of a spray. A leave in conditioner mixed with a lightening product would be ideal. Lets see if I can find that! Like I said, the brassy/yellow color caused by my use of Sun-In is easily fixed....as long as you have a toning shampoo. I'm surprised that I'm just NOW learning about/trying a toning shampoo (I've been blonde my whole life). Since this was my first time using any type of toning shampoo, I decided to go with Schwarzkopf BLONDME Shampoo in Light Cool Ice. Unlike other toning shampoos, it's gentle enough to be used daily. My biggest fear using a stronger toning shampoo was that I would turn my hair blue (it does happen!). This shampoo does NOT have a chemical smell and, after a few uses, got rid of my limoncello yellow tinge. It is a little drying so I would recommend using your regular conditioner instead of a toning conditioner. I love this product and now that I've had some experience with toning shampoos, I feel confident enough to try one that corrects color with one use. Putting on my normal moisturizer and then powdered make-up definitely feels suffocating in the Summer. So I try to limit layering product after product on my skin. Tinted moisturizer is the perfect solution, as long as you find a great one. My go-to in the past has been Cover Girl's CG Smoothers Tinted Moisturizer with SPF 15(discontinued but can be found on Amazon.com). Apparently, it's also the go-to moisturizer of a lot of women. Recently, I noticed this product has now started to break out my skin. I'm not sure if it has anything to do with my skin becoming more sensitive after pregnancy, but I now needed to find another product. First I tried E.L.F. Studio Tinted Moisturizer. It's affordable (usually around $3) and has great reviews. In my opinion, the way it goes on and covers is more like a light liquid foundation. So it's not exactly what I was looking for but if you're someone that normally doesn't wear tinted moisturizer because you need more coverage, I would suggest trying this product. 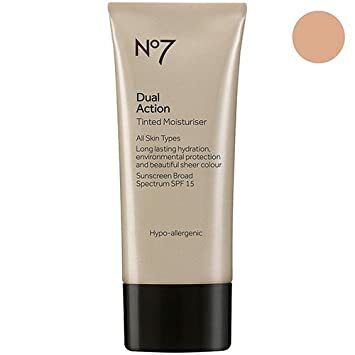 My search continued and I tried Boots No7 Dual Action Tinted Moisturiser with SPF 15. I think I found my new go-to! I only have to use a tiny dot (smaller than the size of a dime) and it goes on evenly and smoothly. I love it because it provides an easy, natural look and takes a few seconds to apply. Alright ladies. It's hot out, you'll be wearing less clothing. So that means you've got to stay on top of your hair removal grooming. Which is annoying! I've already reviewed Nair Lotion with Cocoa Butter and plan on trying other removal creams once I run out of that but I still use a razor for my underarms and legs when I don't have time to spend applying the cream. To save time, I shave in the shower. In case you haven't noticed yet, I'm all about saving time and quick beauty fixes. This is why I love Gillette Venus & Olay Razors. It combines a wash and moisturizing lotion right on the razor. No need for shaving cream/gel or body wash. It moisturizes as you shave and leaves the skin feeling soft, smooth, and no razor burn! 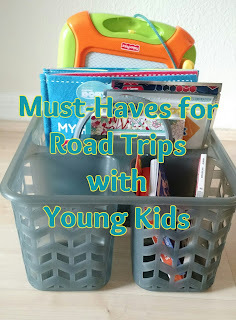 I'm always looking for more beauty must-haves and Summer beauty must-haves are no different! Let me know if you have a beauty product that is your go-to for Summer beauty! In this mother''s day I've give my mother anti-aging products. Because after 30's there skin shows anti-aging signs. She is avoiding to go outside due to aging signs problems. So I give her the best products for there skin. In summers our skin get infected very easily. So it is important to protect our skin from such kind of problems. Redness and itching are common problems. For such kind of problems use dermology cellulite reduction cream. This will helps you to prevent your skin for skin related problems.